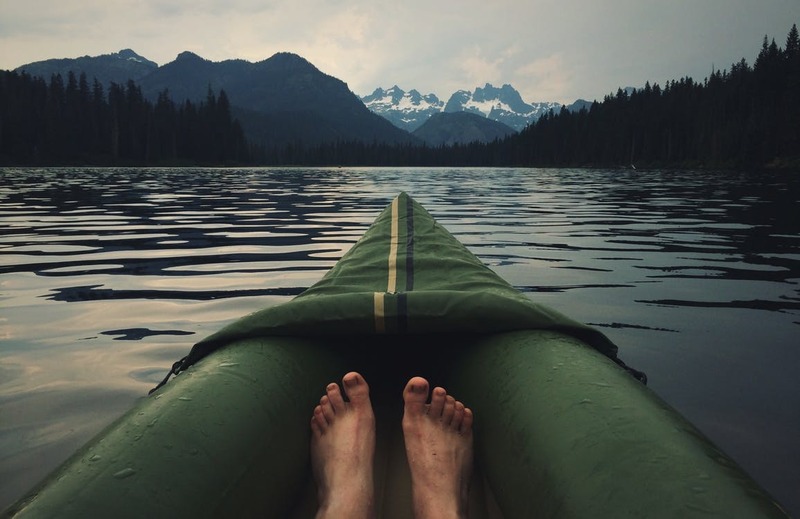 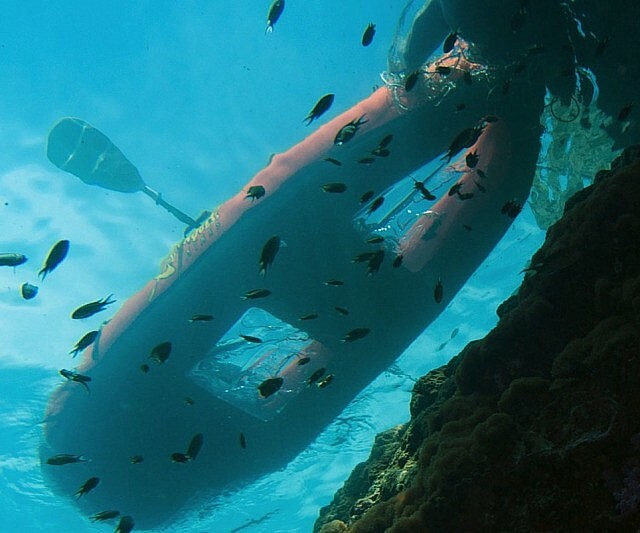 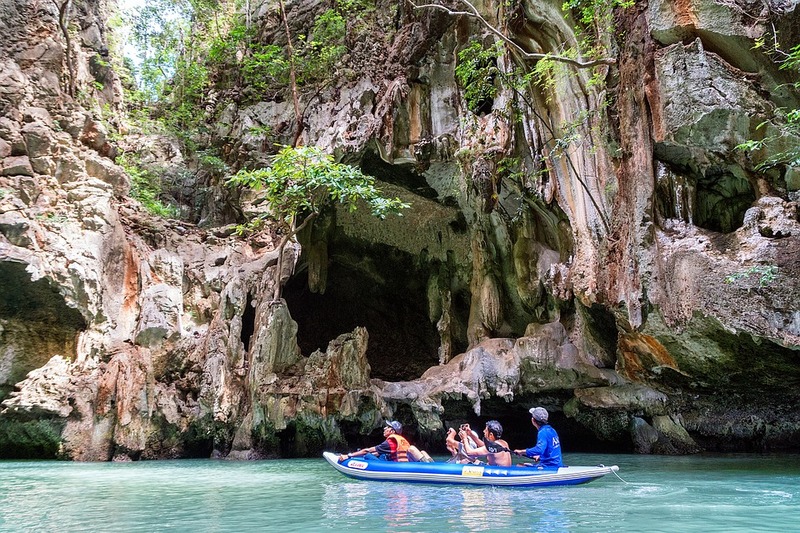 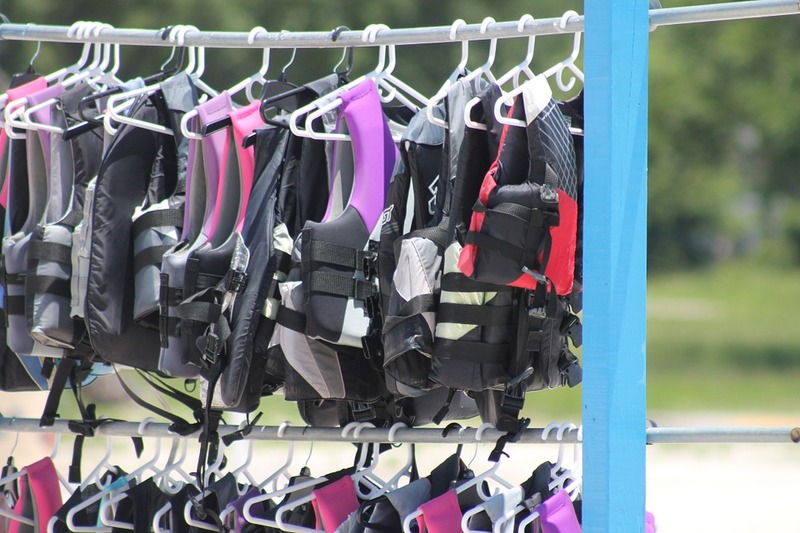 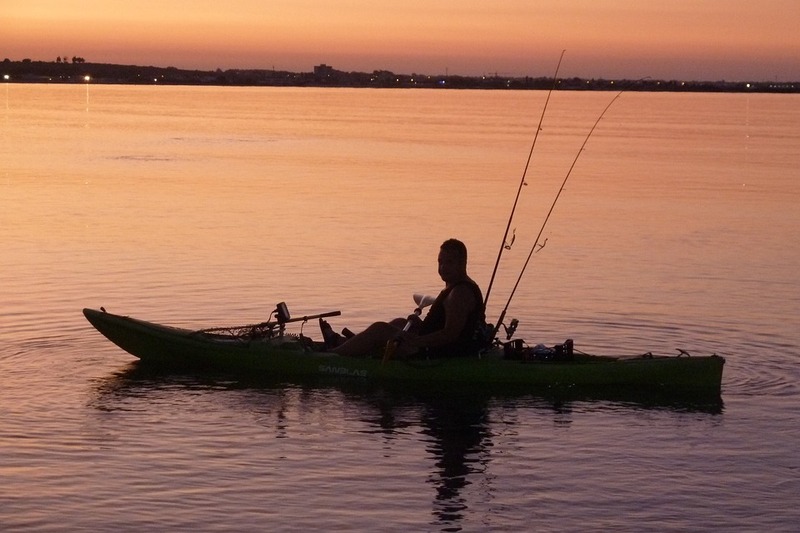 Going out in a kayak or canoe allows you to explore the waters and go around the coast on a little adventure, however what about seeing what is below you when out on the water. 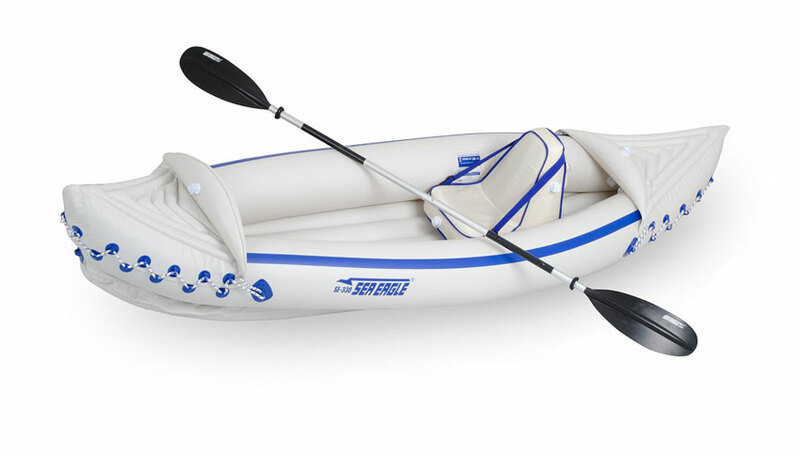 See through kayaks are a great way to explore the world beneath, inflatable kayaks that have transparent clear bases allowing you to see down into the water. 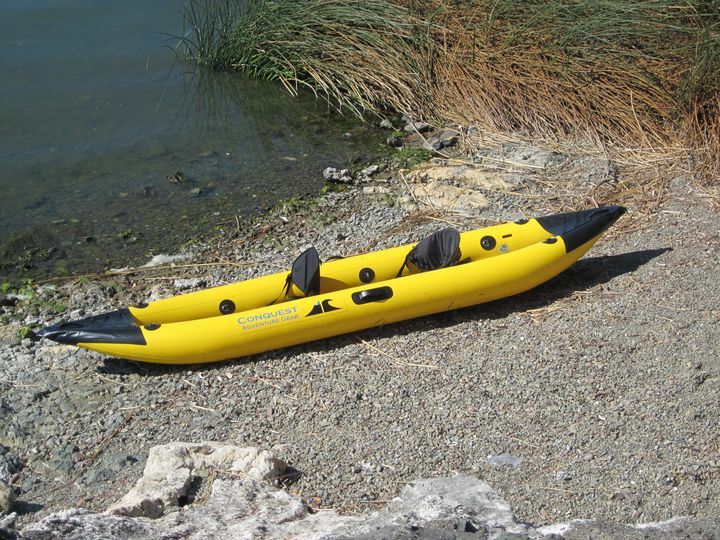 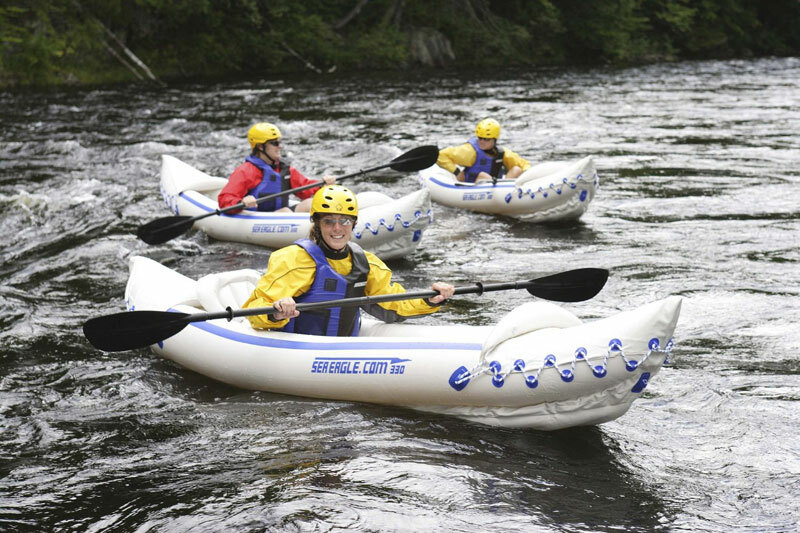 The Conquest Vista inflatable kayak is a lightweight 14′ long bright yellow kayak that will hold 2 people and have a see through base. 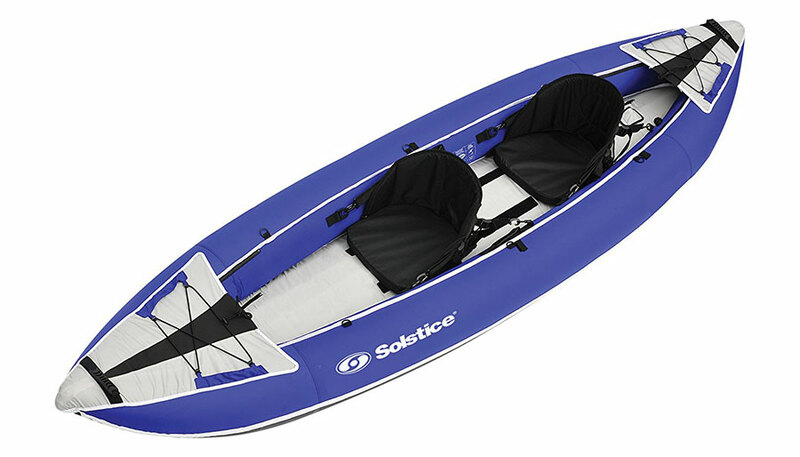 Weighing just 42 lbs it comes with 2 adjustable Nylon seats which each have a clear viewing panel in the foot well area. 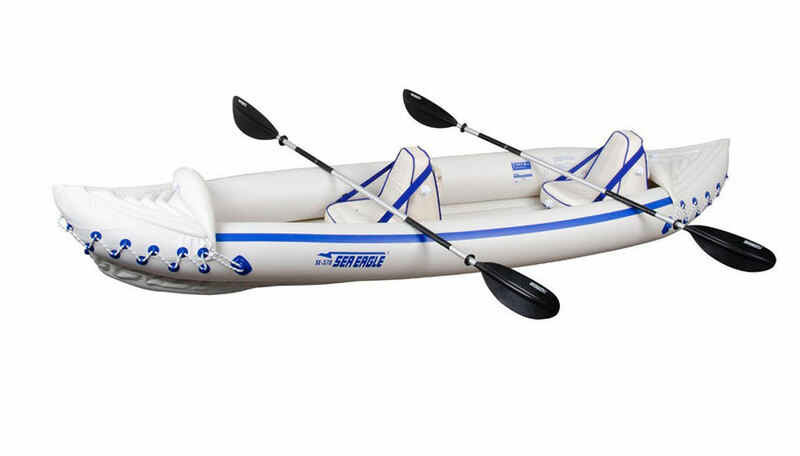 This is a very lightweight kayak making it well suited for ocean and lake kayaking, it is also easy to setup and carry with its size and overall weight. 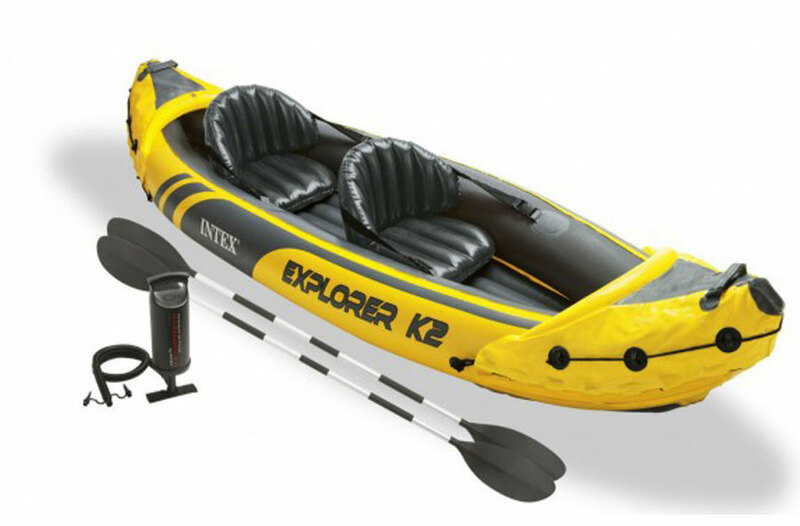 There are 4 carry handles, 2 on each side, and it comes with a Nylon carry bag with back pack too, making it easy to carry and store when deflated. 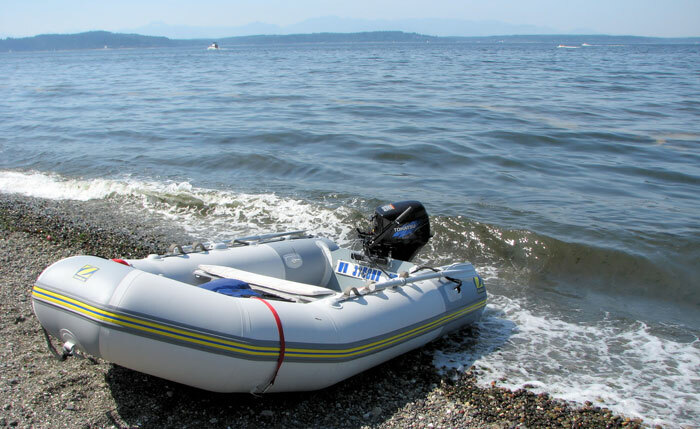 It is 14′ long with an 18″ wide cockpit at its widest spot and accommodates two awesome 18″ x 14″ clear bottom viewing panels. 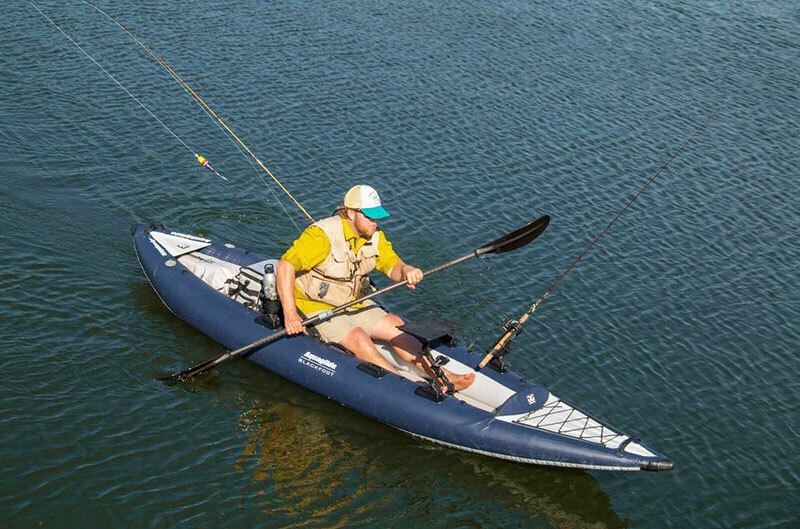 Similar to those found on our dyad inflatable kayak, this lightweight kayak houses these transparent panels for viewing pleasure. 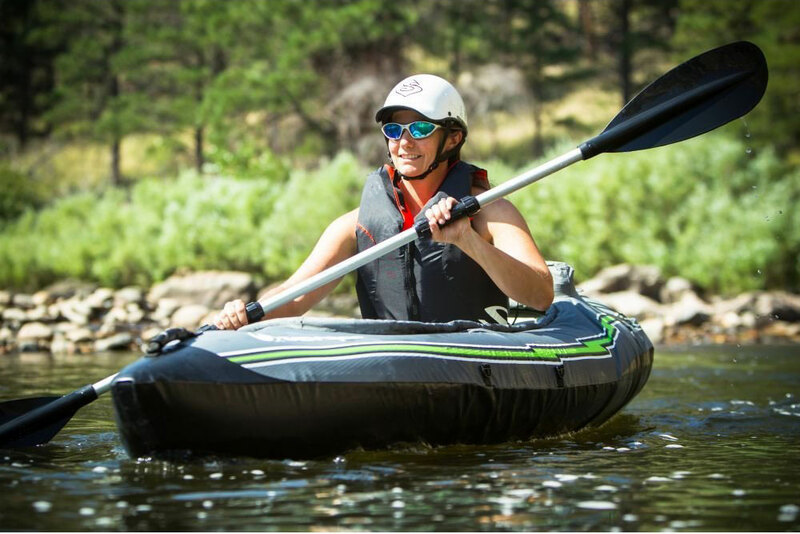 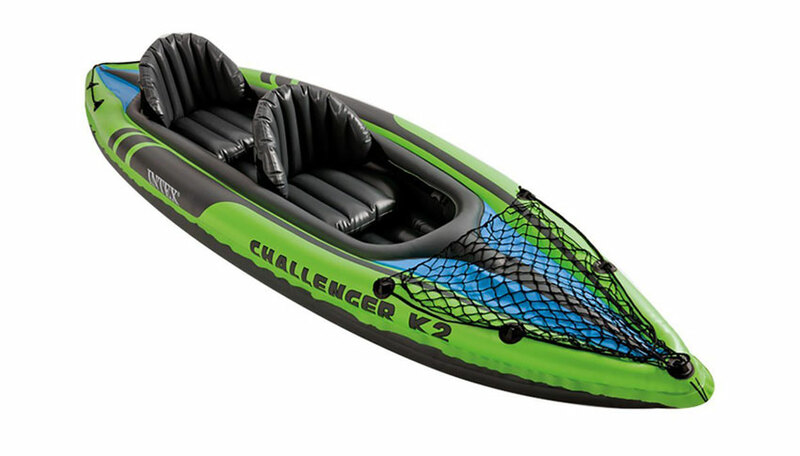 Regardless of destination, this extremely lightweight kayak has been designed to serve as an inflatable kayak that offers more speed while retaining stability. 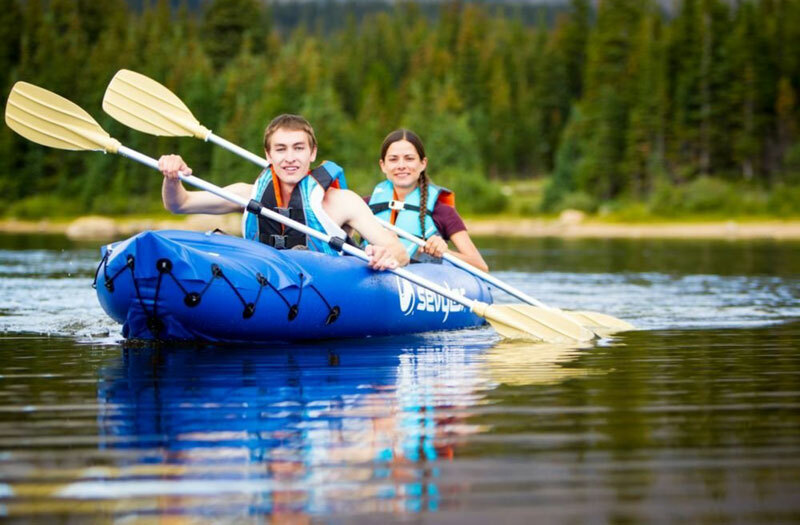 The Conquest Vista is much quicker and sleeker in comparison to its little brother, the 11′ dyad inflatable kayak.